Chelsea may want to take a look at transfer news coming out of Spain today as it seems Edinson Cavani is looking for a way out of Paris Saint-Germain this summer. The prolific Uruguay international has been a big success in his time at PSG and could be seen as a major upgrade on the struggling Gonzalo Higuain at Chelsea. Calciomercato linked the Blues with Cavani earlier this season, while they were still hunting for a striker to replace Alvaro Morata. In the end, they signed Higuain on loan from Juventus, but Goal claim the Argentine’s future is now in doubt after an unconvincing start in England. It remains to be seen if this means Chelsea could revive their interest in Cavani, but Don Balon report he’s been offered to Real Madrid ahead of the summer. The Spanish outlet report that the 32-year-old wants out of Ligue 1 as it’s not competitive enough and would be open to a move to either the Premier League or La Liga, but adds that Real Madrid are not interested in signing him. What more invitation do Chelsea need? Despite Cavani’s age, he remains one of the most reliable goal-scorers in Europe, and has the physical attributes to be a success in the Premier League. 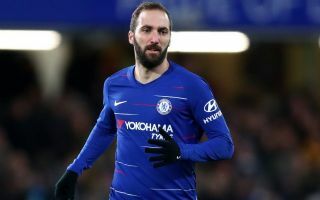 A similar mould of striker to Chelsea legends like Didier Drogba and Diego Costa, Cavani could surely succeed where Higuain and Morata have failed. It will be interesting to see if CFC decide to try again for the player now that he’s reportedly available for £52m, according to Don Balon.